Sarah, this is super helpful, especially samples of tests and grading tickets. 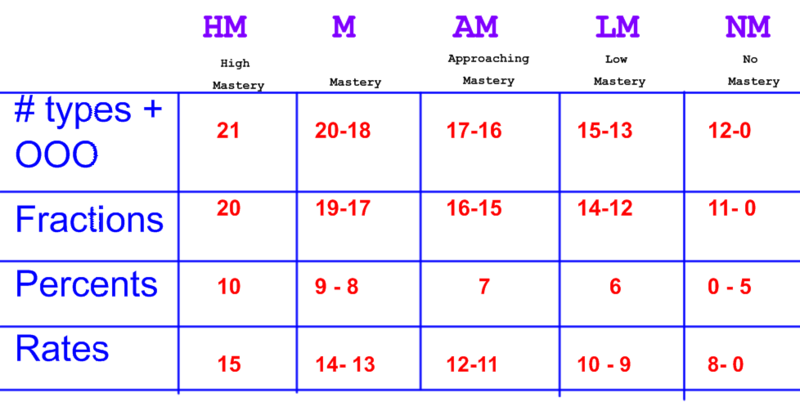 I’ve just started thinking about implementing mastery-based model. This year I teach Algebra 2 and (non-AP) Statistics. In both subjects, many questions involve more than one learning targets. For example, to solve a system of equations algebraically, you need to also know how to solve quadratic equations, and to solve it graphically, you need to recognize an equation of and graph circles and and parabolas. This is just the first question I have, but I was only able to formulate it looking at your post. So glad to hear you’re interested in Mastery Based Learning! 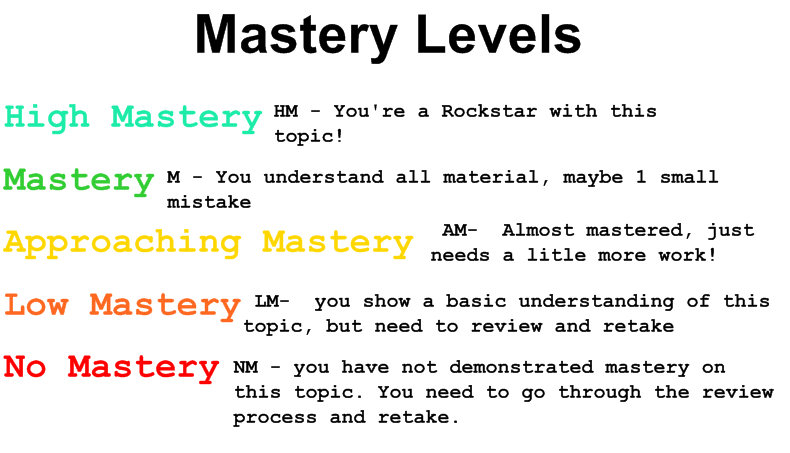 There are a couple of ways you can break down your mastery topics to help with this. You can use bigger ‘buckets’ like Algebraic Solutions and Graphical Solutions OR you can have them all separate that build on each other. So in your example I would have solving quadratic equations as a mastery topic in my quadratics unit. Then I would do solving quadratic systems in my systems unit. 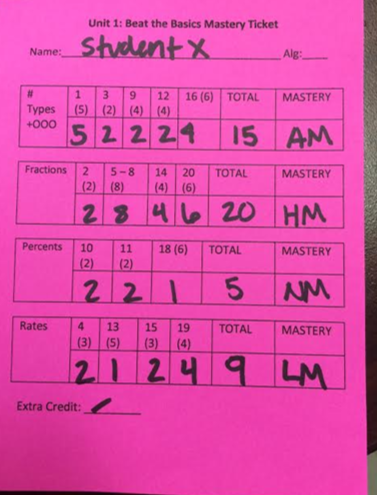 But if a student earned mastery in the solving systems unit it could possibly earn them mastery in the old topic too! 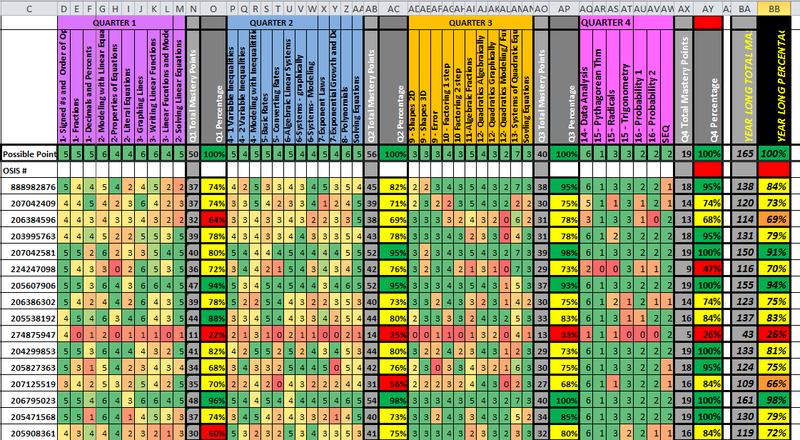 You can also have a question broken down into part a, b,and c where each part falls into a different category to better show the student what they have mastered and what they need to improve on. Hope this helps! Feel free to ask more questions to email me directly (sarahpwallace15@gmail.com) !